Keeping in mind the precise requirements of the clients, we manufacture the quality approved range of Blade Type Dresser that is appreciated for optimum quality and durable standards. Our company is highly esteemed in offering Blade Type Diamond Dresser to the clients. Fastcut Diamond Abrasive Technologies Pvt. Ltd.
We are offering Blade Type Diamond Dresser to our client. The Blade Type Diamond Dressers offered by as are essentially heavy-duty center less grinders that are highly demanded by our customers for their superior quality and productivity. Blade Diamond Dresser consists of one or more layers of hand-set selected diamond stones. Each layer is carefully interlocked to ensure a continuous, even cutting action throughout the tool life. The blade dresser maintains a consistent, thin diamond cutting edge throughout its working life. 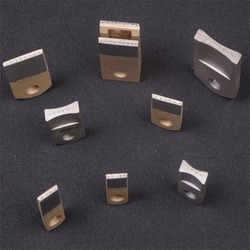 We offer Blade Diamond Dressers. On few heavy-duty grinders, especially centerless grinders, often the demands are high both on quality and productivity with the following essential characteristics of wheel dressing; (1) Uniform dressing over the full length of wheel. (2) Proper abrasive glaze-free surface on the wheel. (3) Wheel edges free of broken edges. 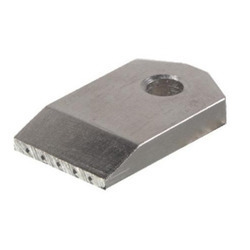 Blade Dresser provides a robust and economical alternative to the single stone diamond chisel. It maintains a consistent, thin diamond cutting edge throughout its working life. Adjustable re-useable or fixed head holders are available for mounting the Blade Dresser.